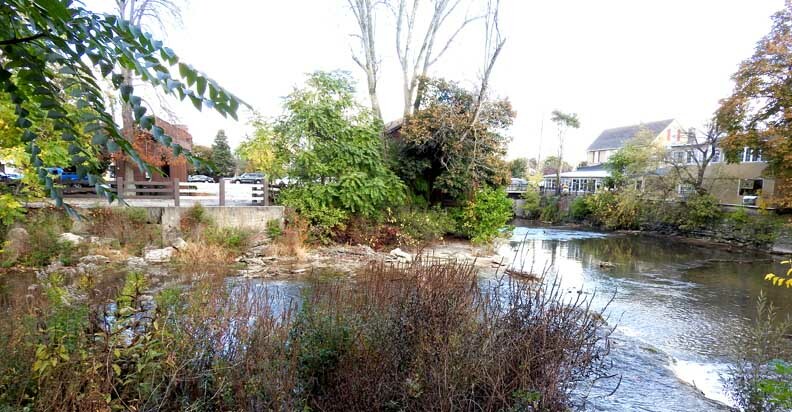 View south across the Creek towards Island Park ... 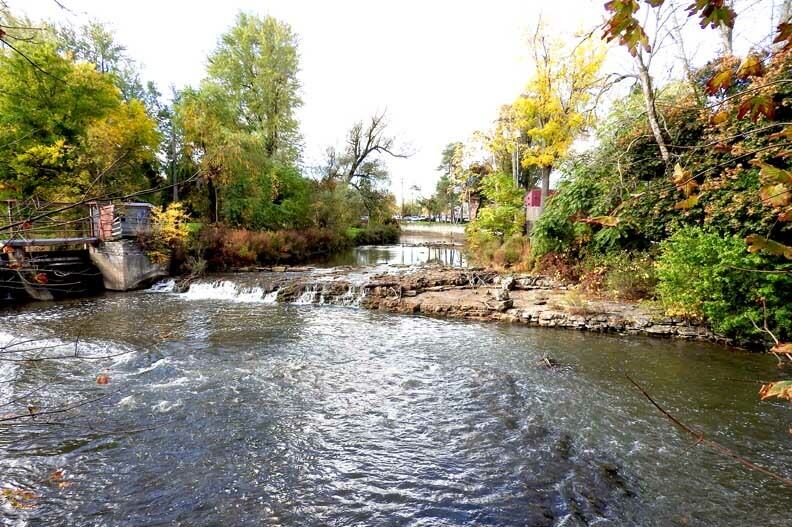 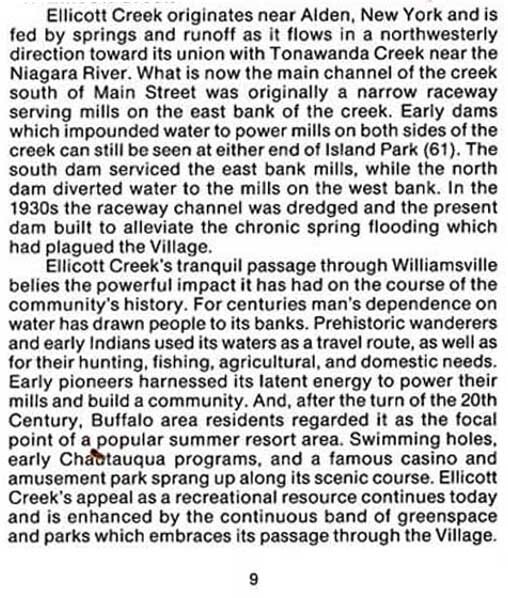 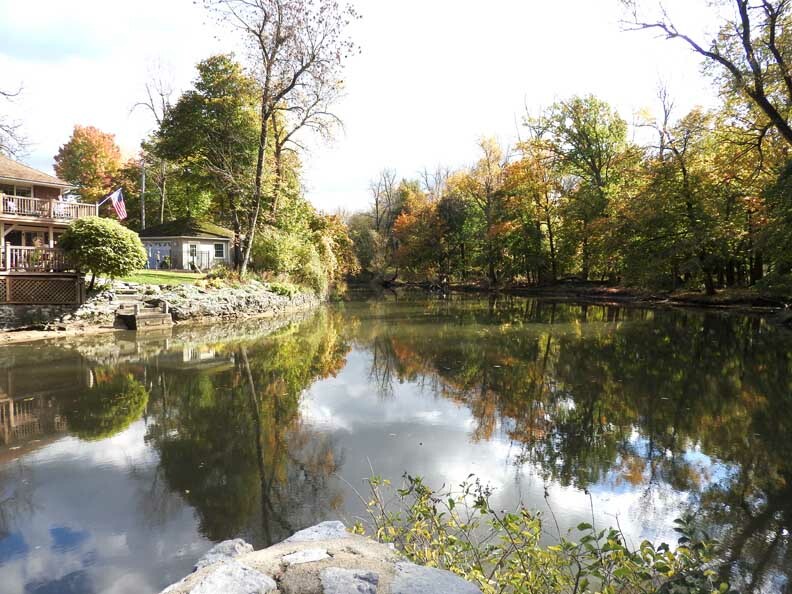 In the 1930s the raceway channel was dredged and the present dam built to alleviate the chronic spring flooding which had plagued the village. 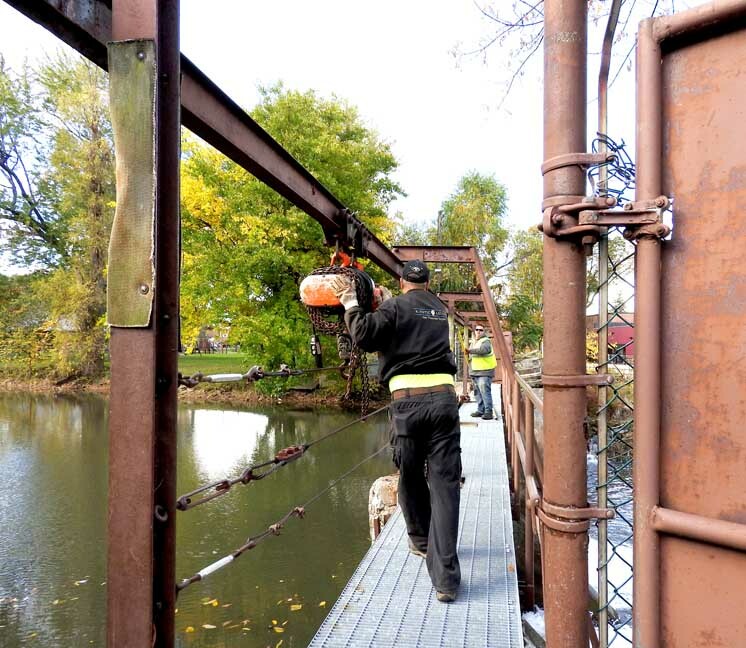 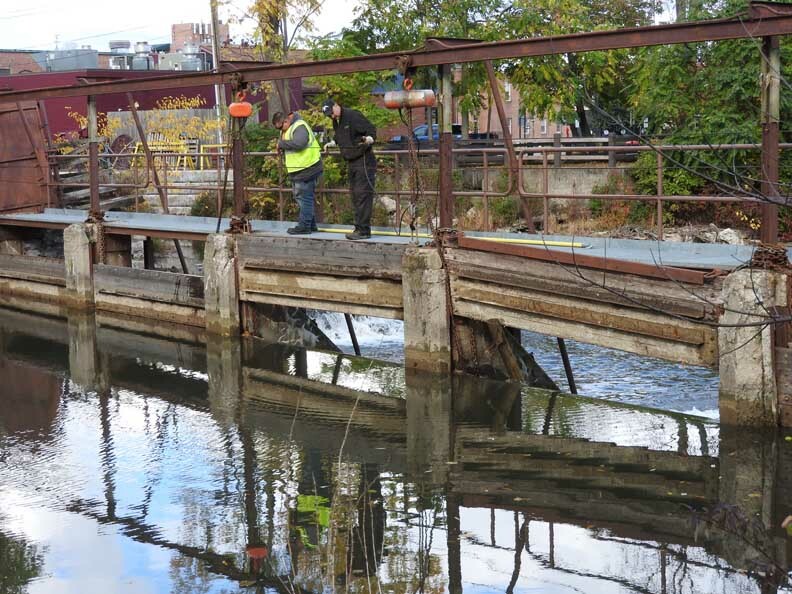 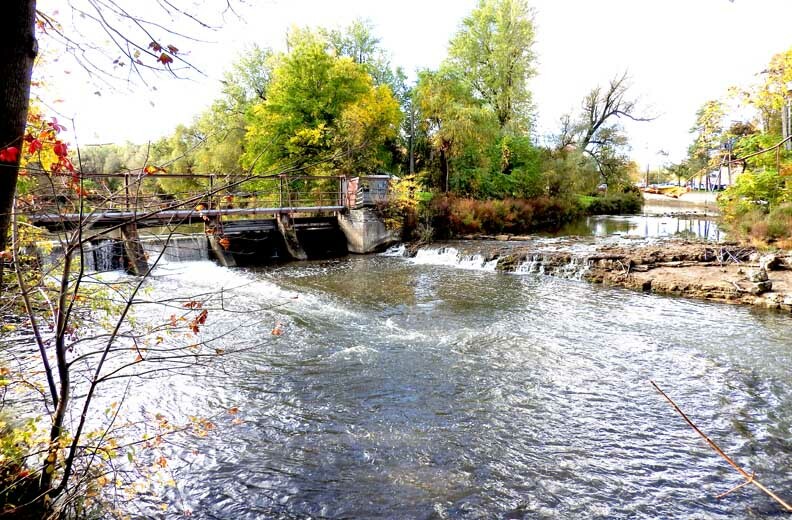 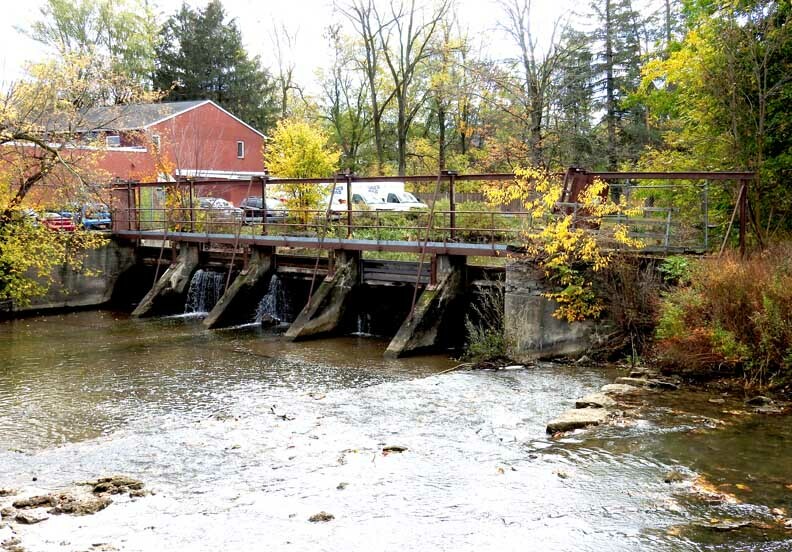 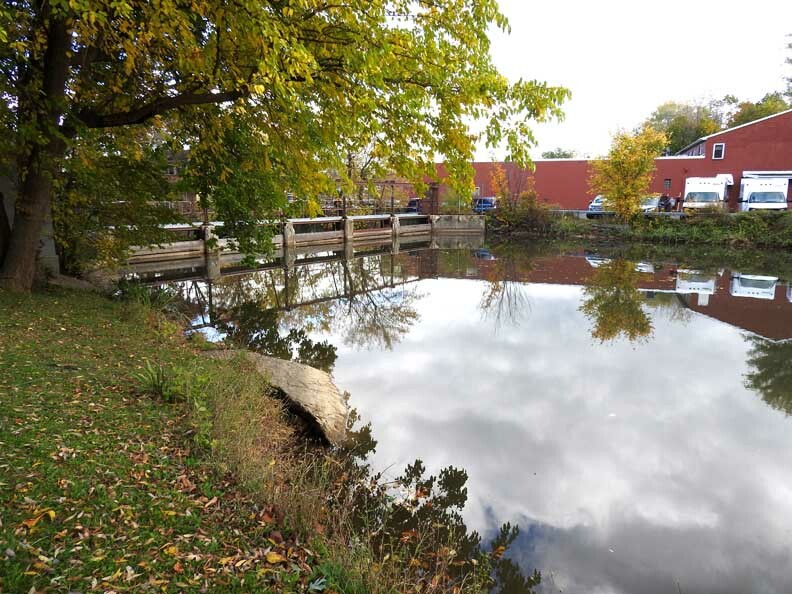 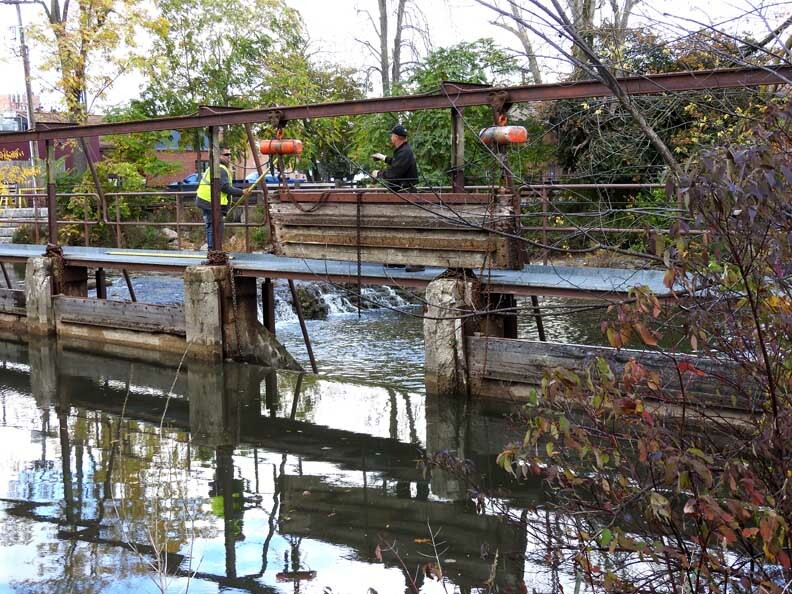 Village of Williamsville workers prepare to change the height of the dam for early winter months. 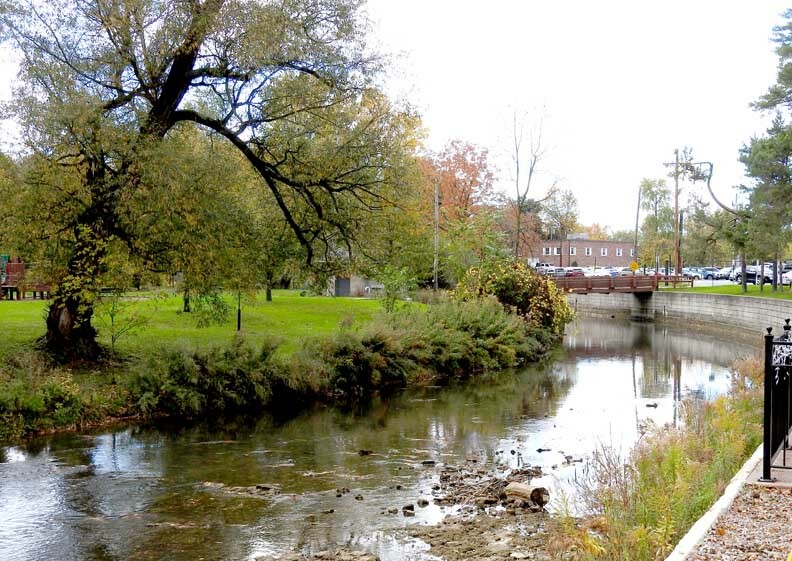 View towards the Island Park bridge. 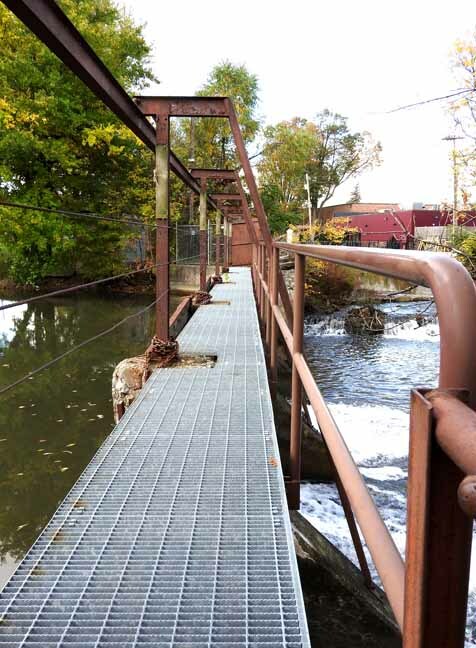 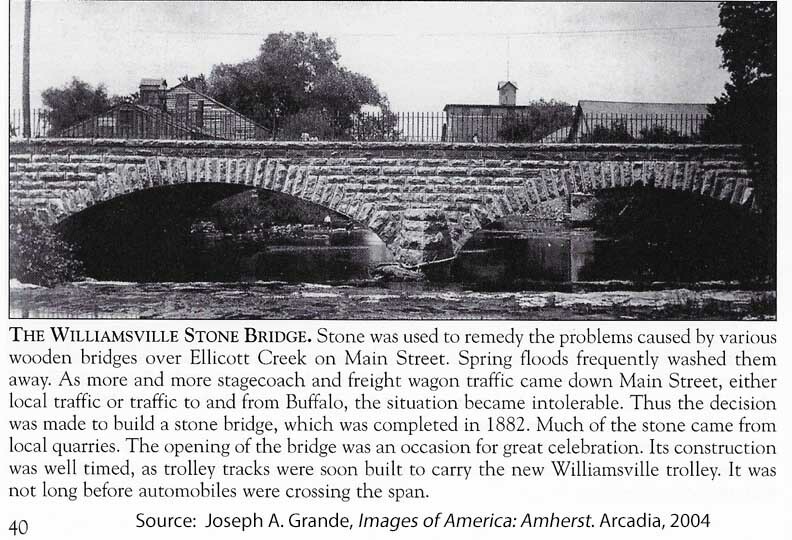 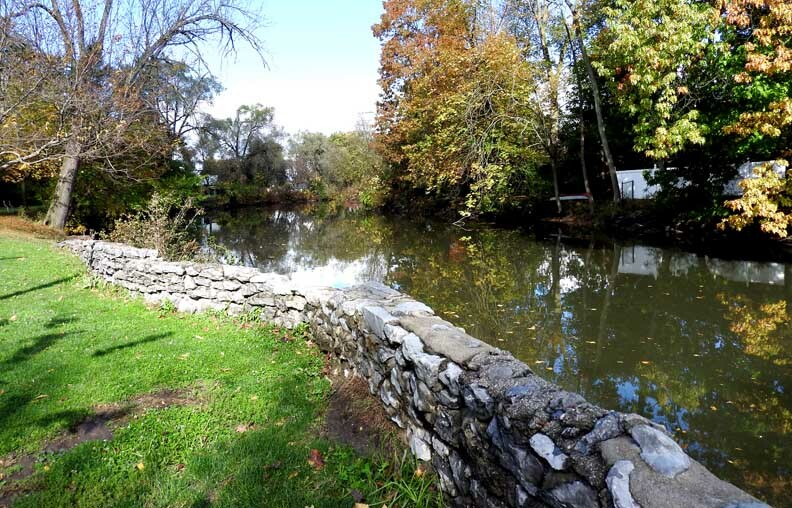 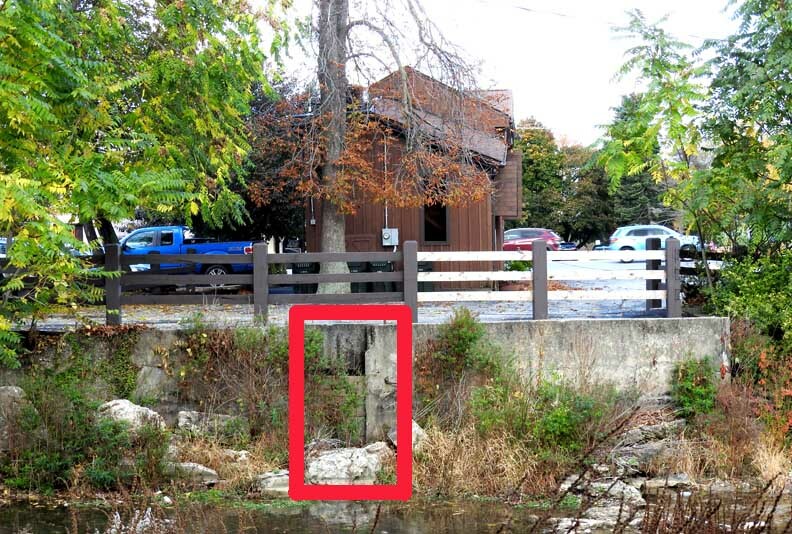 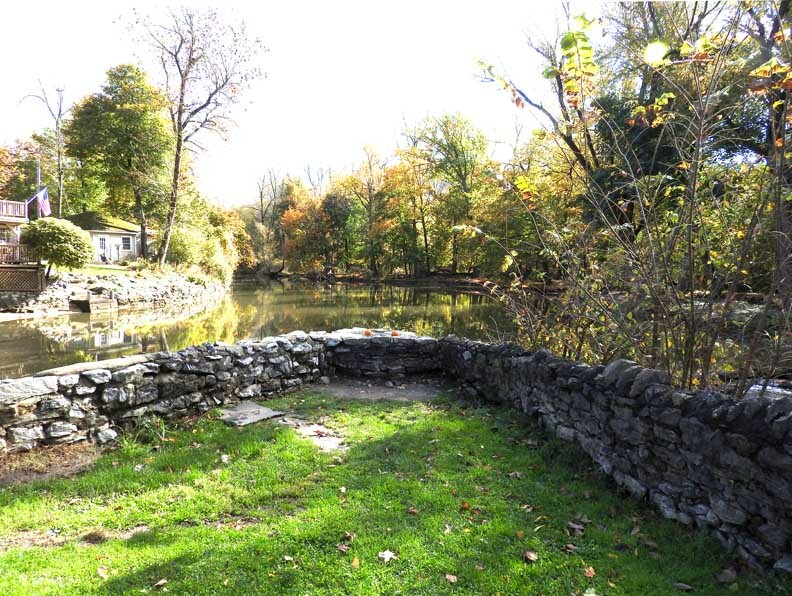 The beginning of the stone raceway built by Jonas Williams that powered the Williamsville Water Mill.